Are you looking for inspiration for dinner over the weekend? 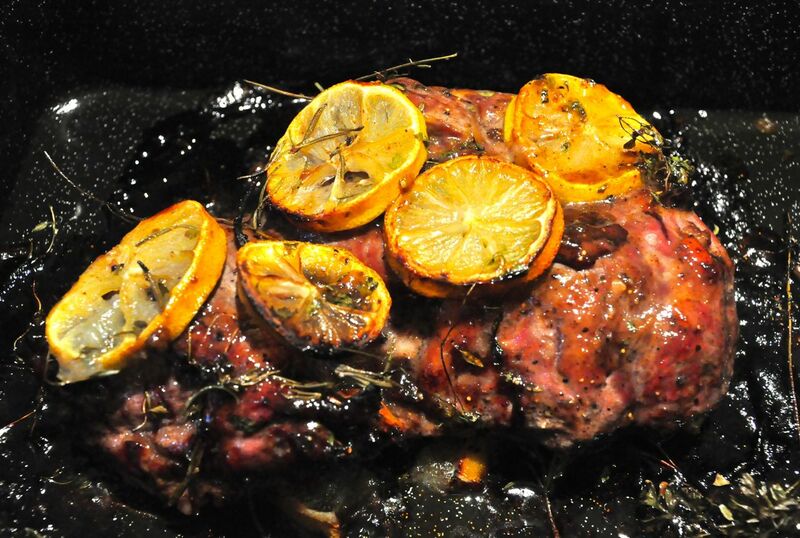 There’s nothing quite like a lamb roast and whilst my husband usually cooks the butterflied lamb in our house on the BBQ (all BBQ cooking is delegated to him), I thought I’d have a go at oven roasting it this time. It was a winner – moist, tender, delicious. To make it truley paleo/AIP compliant, just don’t glaze with the fig glaze. Fig Glaze – to make the glaze, put into a bowl 2 Tbsp fig jam and 1 Tbsp coconut aminos (or use soy sauce). Warm in the microwave for about 45 second until it’s runny enough to baste on the meat. Brush the base of a roasting pan with olive oil. Place half the lemon slices, garlic slices and herbs on the base of the pan. 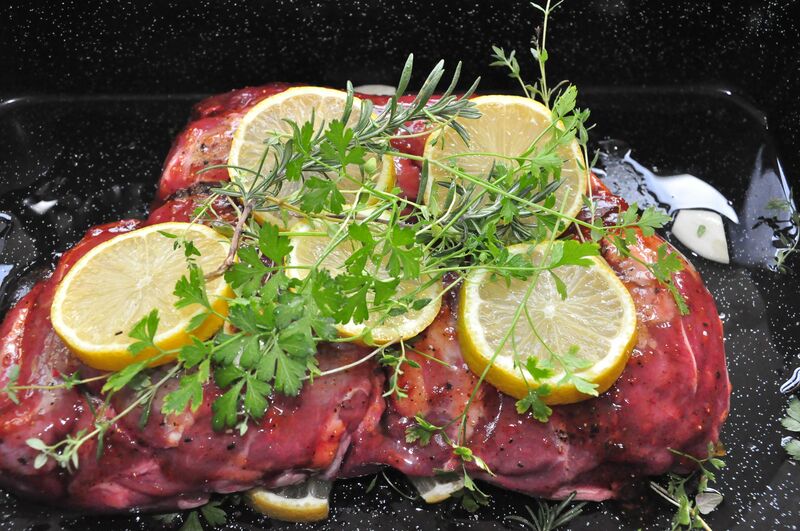 Rest the lamb on the lemon, garlic and herbs. Season with salt and pepper. If you are using the glaze, brush about half of the glaze over the meat. Add the rest of the lemon, garlic and herbs to the top of the meat. Cover and refrigerate for an hour or 2 or overnight. Bake in oven at 180degC for about 50 mins for medium, re baste with the extra glaze a couple of times whilst cooking. Rest covered in foil for about 15mins before slicing. Serve with roasted vegetables or salad.